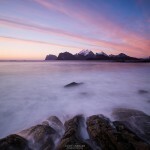 As the twilight nights of late April and early May arrive on Lofoten, exhaustion and insomnia become constant companions for the landscape photographer. 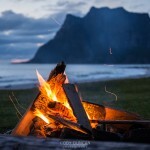 And if you’re wanting a few hours around a campfire, it needs to wait for the few hours between sunrise and sunset, an all to late in my opinion. But after an afternoon of scouring the beach for driftwood, and then shooting until well past midnight, an hour or so by a fire is a welcomed reward. 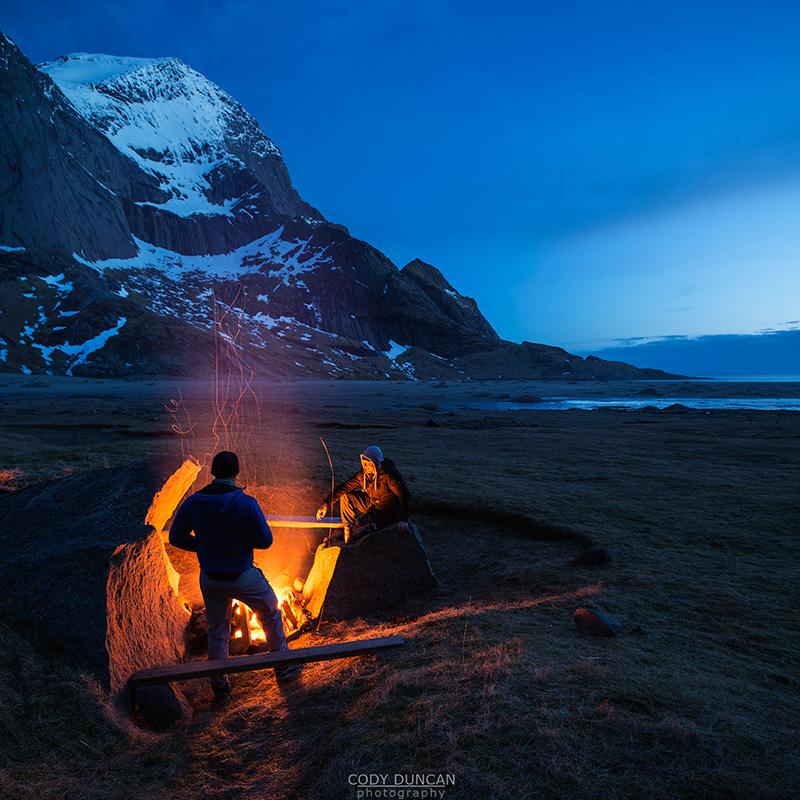 I’ve written before that Spring, in the normal meaning of the word doesn’t really exist on Lofoten. It is more of a ‘brown period,’ between the melting of the snow on the lower elevations and the return of green, in mid May. But over these few weeks, the nights disappear in their entirety and suddenly you will find yourself surrounded by Summer. With a couple Australian landscape photographers as my companions (I’ll write more on this later), I took the opportunity of a stable weather forecast to head out to Bunes beach and camp for a night. I was still exhausted from my nearly 40 hours of travel to the islands, having arrived just a few days prior, so I think I slept most of the afternoon away as well, but as the evening came, it was time to head out for some photography.